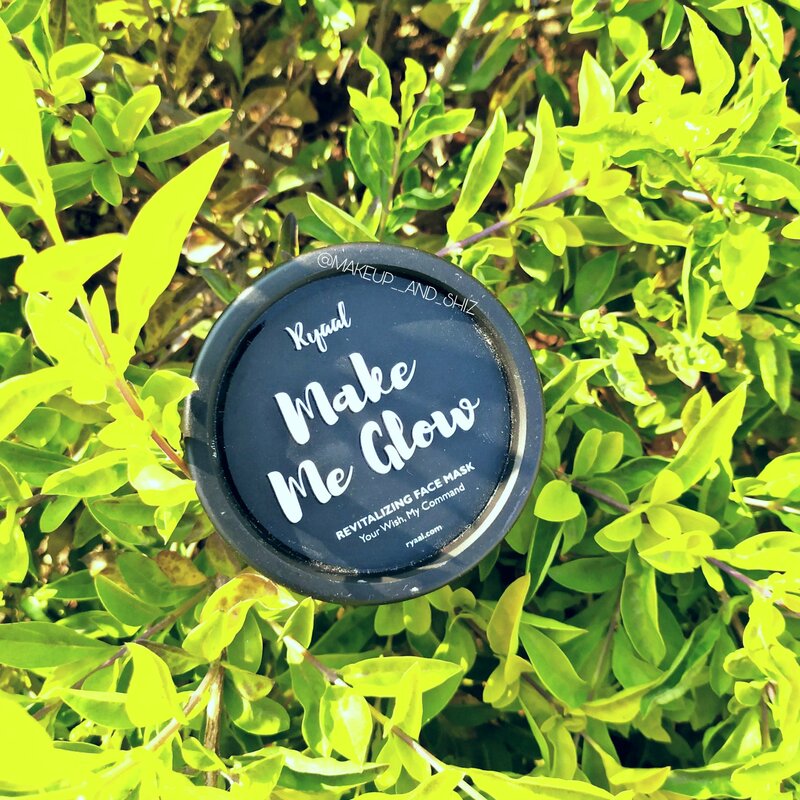 Ryaal Make Me Glow Revitalizing Face Mask– Review . Today I am gonna review a face mask from a upcoming brand in India called – Ryaal . I have been trying out their Make me glow Mask for past one month. It has a black bottle, with white print on it. It has a white lid underneath the main black lid. It is travel friendly too. Well, the first time I tried, I had a stinging sensation and all had wet eyes. (I didn’t apply it anywhere near the eye area). The stinging sensations lessens down with multiple use, but I still get wet eyes. On multiple (thrice a week) use, it did make your skin glow. However it is bit drying for dry skin people. I think it is perfect for oily skin /combination skin. It really helps in scrubbing away the dead skin , helps in unclogging pores , or reducing acne . With committed use , it maintains a bright and clear skin , hence giving you a glow. However if you have dry skin type, like me , you will have to apply a heavy moisturizer after using this. It is a decent facepack. If you have normal to oily , oily/combination skin type, you will really like it. You may also like : Jeva Activated Charcoal Face Pack With Argan oil – Review. Drying for dry skin type. I hope this helped you! Have you tried anything else from Ryaal ? If you have, comment below and let me know. Previous Miss claire soft matte lip cream (01,08,09,45,50,55,58,62) — Review and Swatches.